Doors come in many different styles and each one has a coordinating theme that suits it. 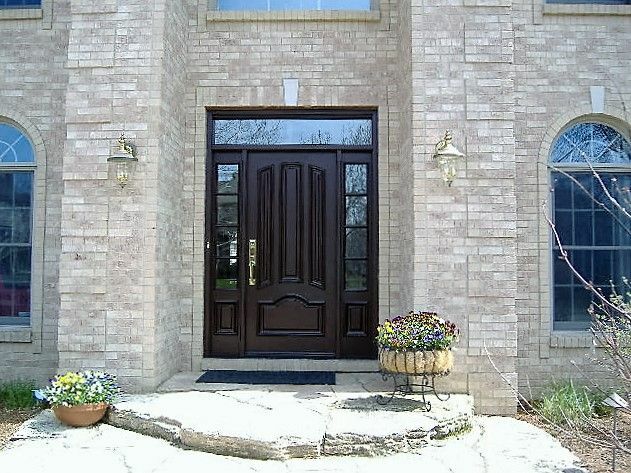 If you’re thinking about new doors and windows in Naperville, then you’ll want the best-looking door for your home. Take a moment to consider what style your home is and whether you want to change that look. Then look at these door styles and choose the right one. The best way to achieve a modern look is with clean lines and bold shapes. Most modern designs have very little glass and instead feature new materials like cement. You’ll also want a door frame that is smooth instead of beveled, and in a dark, neutral tone. The look of a rustic home is all about the wood. However, wood doesn’t always stand up over time due to warping, rot and invasive insects. Rather, vinyl or fiber cement that is molded and colored to look like wood is a better option. Look for styles that feature a variety of contrast in the wood grain and a few realistic wood knots. When you decide to redo the facade of your home with a country cottage feel in mind, the door is an important part of that look. A bold color that pops against the rest of your home, like red or blue, is a good start. You’ll also want little details that set your door apart from the ordinary. New doors and windows in Naperville come in a variety of colors with fun details. Choosing the right door for your home goes a long way toward creating the exact look you want. Whether modern, rustic or quaint, there’s a door for that. Consider whether you want to keep your current facade or make a change before nailing down what door you want. You may even find a door that speaks to you and decide to rework the rest of your home to match it.